The thoughtfully curated services and amenities at Arbor Oaks at Greenacres are designed to create a warm, home-like atmosphere where seniors of varying levels of ability are able to exercise their independence and engage with the community in meaningful ways. We provide assistance with the tasks of daily living, so community members can spend their time exploring that which gives them the greatest joy. As a resident, you or your loved one will enjoy easy access to robust care options and life-enriching services, such as lively social activities and delicious meals and snacks freshly prepared for your needs and tastes. Our purpose is to provide vibrant living options in a community where purposeful engagement and personal choice are always a top priority. We offer quality assisted living, memory care, respite care, and adult day care in the charming community of Greenacres, Florida. Top to bottom, this community is designed for rich living for all residents. *Provided by a third party, not included in rent. Your small pet is welcome to join you in your new pet-friendly apartment for seniors in Palm Beach County, near Lake Worth. Cats and dogs under 15 pounds are invited to join the community, and there is a one-tme pet fee. Residents are responsible to care for their own pets. In order to help us maintain a clean and welcoming environment for all residents, animals are subject to approval from management. 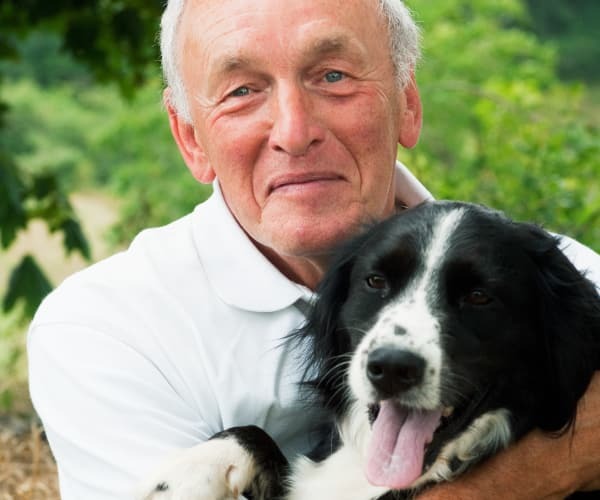 Learn more about pet-friendly senior living at Arbor Oaks at Greenacres by contacting our helpful team today. Come for a visit to learn more about Arbor Oaks at Greenacres.